In this intoxicatingly lush debut novel, Adrianne Harun weaves together folklore, mythology, and elements of magical realism to create a compelling and unsettling portrait of life in a dead-end town. A Man Came Out of a Door in the Mountain is atmospheric and evocative, a broken world rendered with grit and poetry in equal measure. "Let me put it like this: in a just world, A Man Came Out of a Door in the Mountain would be making headlines. You’d be reading about mammoth advances and film sales and think pieces. In a just world, it would be the big buzz book of the season. Instead, it’s a spectacular read, one you can come to fresh. And come to it you should. No, you must." "A Man Came Out of a Door in the Mountain proves that Harun is heir apparent to Louise Erdrich and Harry Crews. Her characters shimmer and squirm in liminal spaces, nether regions of geography, race, spirituality and aesthetics. This novel is a mesmerizing incantation, harrowing and hypnotic." "Adrianne Harun's dark, mysterious novel is by turns Gothic and grittily realistic, astute and poetic in its evocation of evil everywhere." 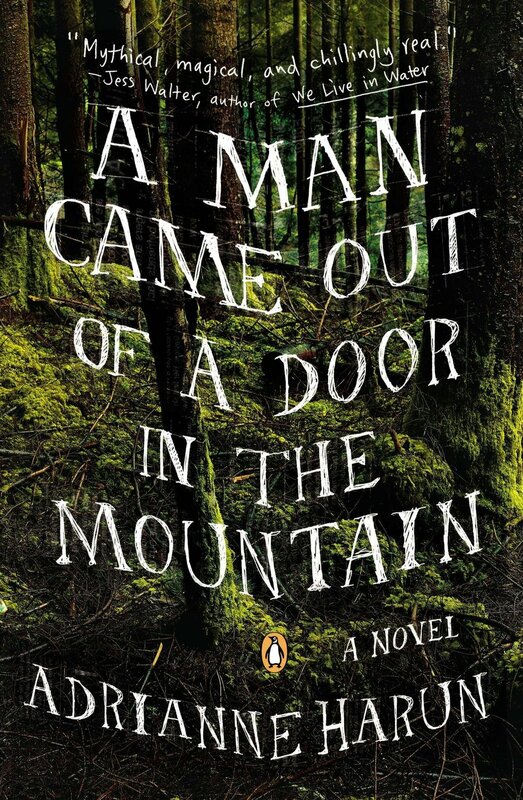 "A Man Came out of a Door in the Mountain is a rich, haunting, original novel that captures evil in many forms--mythic, magic and chillingly real. Adrianne Harun's writing can hold you breathless."